Date of publication: 24 September 2013 . The duty of a parent is to continuously develop the talents of their children, if you notice that your child had a special love for performances, Take him joy - collect real puppet-showIn which the child will put their own ideas. 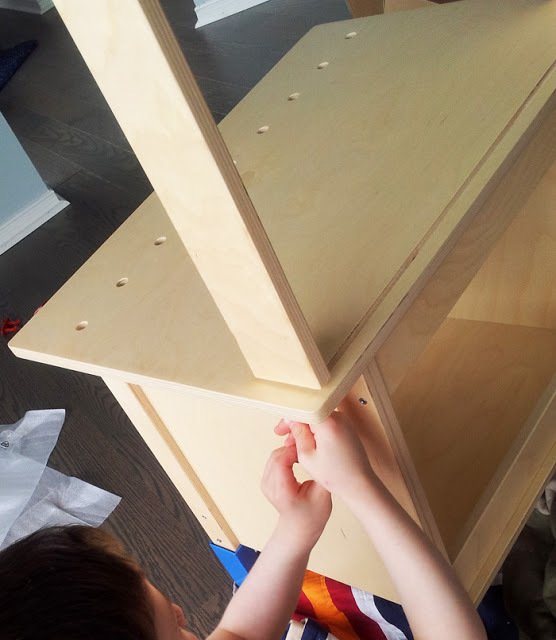 Of course, the easiest way to organize on the basis of children's furniture IKEA catalog. First we need to collect desktop in accordance with the instructions, eliminating the step of embedding the blue board, as described in paragraph 11. The very surface of the table will be used as a stage, and the bridge over it - in order to maintain the scenes. The bridge also, if desired, can be fitted with a small light bulb to a theatrical performance could be covered. If the bridge seems too small, you can rebuild it, using parts from top of the kitchen and microwave DUKTIG. 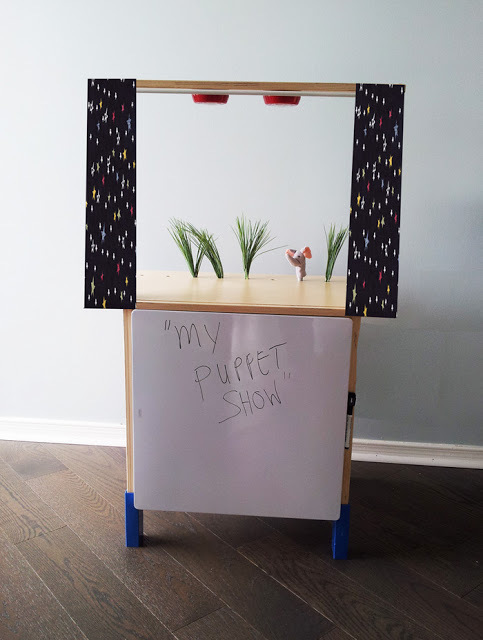 On the outside of our puppet theater do a special area for posters, we do want the audience to know what they are waiting for submission? For this purpose, we use magnetic whiteboard on which to mount posters using magnets, or write the name of performances marker. 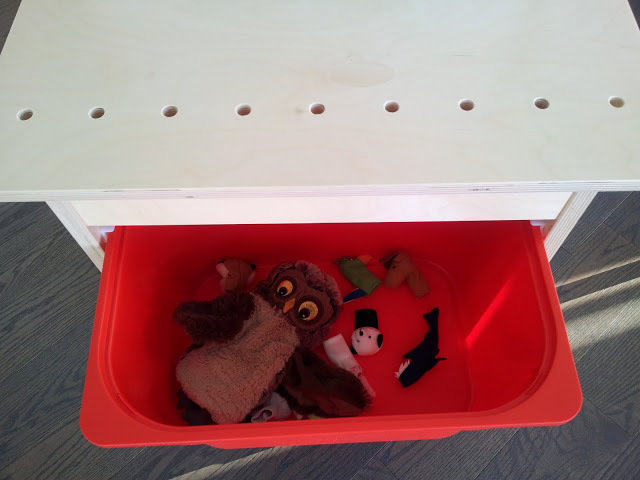 In the description of Desktop DUKTIG indicates that it is provided in conjunction with the use of containers TROFAST size 42x30x23 cm or 42x30x10 cm, so that the bottom of the workspace puppet theater, we placed one of them. Now, no one doll can not be lost, because for "artists" a special place. But what is an essential part of any performance, in addition to artists? Of course, scenery. Holes on the edge of the table can be used as stand for any decorations: trees, houses, sea, clouds, etc. As in hole You can install one of the heroes. And finally, it would not hurt to take care of the curtain. Attach the rod to the bridge, which will keep the shutter. All, puppet theater for productions ready! It remains only to rehearse the role and invite the audience at the first performance. With furniture and accessories from IKEA catalog, To fulfill the dream of a child Puppet Theatre very simple. You do not need any special skills or tools, only one imagination and desire to always see a smile on the face of your child!